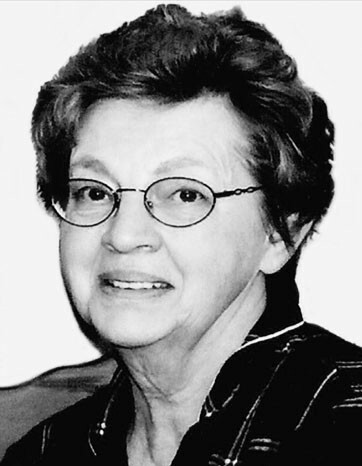 Carolyn Beckstead Crane passed away on December 3rd, 2018. She had a strong testimony of, and was a faithful member of the Church of Jesus Christ of Latter-day Saints. She always looked for opportunities to do quiet service and was always concerned for the welfare of others. Her favorite hobby was quilting. She was a member of a small quilting group that met monthly and those meetings were not to be missed! She loved her quilting friends. Also, for years she participated in a “lunch group” and looked forward to being with those ladies as well. Her favorite “background noise” was “Fixer Upper,” any tennis event and the Utah Jazz. She is preceded in death by her parents, husband (Claude), and 2 daughters, Cathi and Ann. She is survived by Carla King, Jay Turner (son-in-law), Christine (Blake), Chad, Courtnee Hansen (Clint), 15 grandkids and 5 great grandchildren. Also, 4 siblings and their spouses. Funeral services will be held Saturday, Dec. 8 at 11:00 a.m. at the River 4th Ward, 1239 W. Country Creek Dr., South Jordan. There will be a viewing Friday 6-8 p.m. at Goff Mortuary, 8090 S. State St., Midvale, and again Saturday one hour prior to services at the church. Interment, South Jordan City Cemetery.